Adopting a dog can change your life for the better in so many ways. A dog can be the ultimate companion and best friend, and can also bring more playtime, exercise and laughter into your daily routine. Adoption is a big, but rewarding, responsibility. Yes, dogs are man’s best friends – but that doesn’t mean it’s all fun and games caring for one. Dogs require nearly as much attention as children do. They need regular vet checkups and may have or develop health issues that require extra care. You should be absolutely sure that you can afford to care for a dog, and that you have enough time and dedication to properly feed and exercise them. Keep in mind that rescue dogs can be prone to separation anxiety. Though not all rescues will have trouble with separation anxiety, it is a common occurrence. Separation anxiety can be manageable when handled with patience and understanding, however, crate training and other activities may pose a larger challenge for these dogs as they can experience increased stress when kept apart from you. Though breed shouldn’t be the only factor you consider when adopting, and many rescues are mutts – it’s important to be aware of certain medical conditions or behavioral patterns your dog may be prone to because of their breed. Being aware of these predispositions may help you to figure out which breeds are and aren’t a good fit for you and your lifestyle. Consider the energy level you can keep up with. Another important factor that can be related to breed is your dog’s energy level. A dog’s energy level can also be affected by their age – with older dogs typically requiring less exercise and puppies having boundless amounts of energy. If you live in a small apartment in a city or have a time-consuming job that could require leaving your dog home alone most days, then a high-energy dog like a husky is probably not the best option for you. It can be detrimental to your dog’s health to not provide them with enough exercise, or conversely too much exercise for dogs with low energy levels. There are a variety of items you’ll need to cover the basics of caring for a newly adopted dog. When it comes to items such as dog food and treats, you’ll want to do some additional research to make sure you’re choosing the right formulas for your dog. Other items such as dog beds and collars may need to be purchased after you know what size of dog you are adopting. 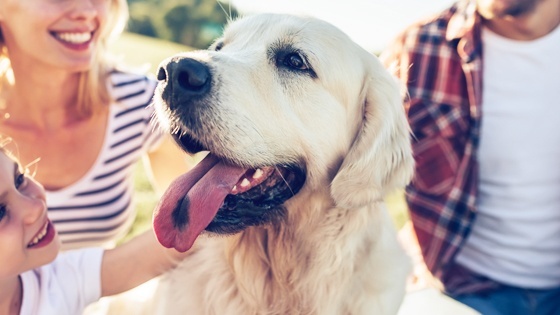 In addition to these basic necessities, you should also consider pet technology solutions to help provide a safe and nurturing environment for your new dog. As some rescue dogs are prone to running away when stressed, a smart dog collar can help to prevent adopted dogs from getting lost. A smart dog feeder can also help to ensure they’re getting the right amount of nutrition, and not over-eating due to stress. Adopting a dog is one of the most fulfilling adventures to experience. Being properly prepared can help make adoption less stressful and more successful. At Wagz™ we know that caring for a dog is a big responsibility. That’s why we make smart solutions to solve pet parents’ most pressing worries.